Power electronic circuit (PEC) design is a complicated optimization problem that calls for evolutionary computation (EC) algorithm. The existing EC algorithms for optimizing PEC have difficulty in practical applications because they demand users to carefully define very narrow search ranges for different circuit components. Aiming at this problem, this paper models PEC with uniform search range (USR), where the components' search ranges are set uniformly according to the commonly used ranges in industrial applications. In order to solve the complex PEC problem with USR, an efficient orthogonal learning particle swarm optimization with predictive solution (OLPSO/PS) is proposed. Firstly, OLPSO/PS uses an orthogonal learning strategy to construct a more promising and efficient exemplar to guide particles to fly towards better searching areas dynamically. Secondly OLPSO/PS utilizes the predictive solution (PS) strategy to help save computational burden. OLPSO/PS is compared not only with the well-studied genetic algorithm and PSO for optimizing PEC in the literature, but also with OLPSO without PS and some other well-performed EC algorithms. Results show that OLPSO/PS is more promising in the optimization of PEC with USR, outperforming other algorithms in terms of higher fitness quality, faster optimization speed, stronger reliability, and better simulation results on both voltage and current. Moreover, the effectiveness of OLPSO/PS is further validated on the experiments in a practical circuit. Power electronic circuit (PEC) design is a complicated optimization problem because the circuit components interact with each other to influence the circuit performance. Therefore, the circuit components such as resistors, capacitors, and inductors in the PEC have to be optimally designed in order to obtain better circuit performance (Ebrahimi, Babaei, & Gharehpetian, 2012). This has attracted great attentions in both engineering community and academic community for that PEC supports significant applications in industrial, commercial, residential, aerospace, military, and utility areas (Song & Wang, 2013). For a long time, suitable components design and parameters tuning of PEC often challenge engineers (Emadi, 2004). Since the 1970s, various optimization approaches such as heuristic method (Sussman & Stallman, 1975), knowledge based method (Harjani, Rutenbar, & Carley, 1989), gradient descent or hill-climbing method (Huelsman, 1993), and simulated annealing method (Ochotta, 1996) have been proposed for some specific analog circuit design automation. However, these approaches are very sensitive to the initial solution and might be inefficient to search globally when the problems are complex (Zhang, Chung, Lo, Hui, & Wu, 2001). Therefore, the obtained values for the circuit components may be sub-optimal, leading to low satisfaction when used in practical applications. 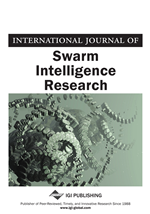 Recently, evolutionary computation (EC) algorithms have been fast developed and have been utilized as optimization techniques in many real-world applications (Li et al., 2014; Li, Zhan, Lin, Zhang, & Luo, 2015; Shen et al., 2014). Zhang et al. (2001) for the first time modeled fitness functions to describe the PEC and proposed a genetic algorithm (GA) to optimize the PEC component values. The PEC problem formulated in (Zhang et al., 2001) is later extensively studied, with ant colony optimization (ACO) (Zhang, Chung, Lo, & Huang, 2009) and particle swarm optimization (PSO) (Zhang, Shi, & Zhan, 2008) being successfully applied to solve the problem. Even though promising results have been obtained in previous studies, one disadvantage of using GA and ACO approaches is that they have to consume a lot of computation before obtaining the good component values while a traditional PSO is often premature convergent. Moreover, in these previous studies, the PEC model is with the circuit components ranges carefully pre-defined and elaborately determined by expert designers. For example, in the above studies, the search range for some resistors is from 470Ω to 47kΩ, but for some others is from 600Ω to 6kΩ, while the search range for some capacitors is from 0.33μF to 33μF, but for some others is from 0.18μF to 18μF. In fact, such specific search ranges are difficult to define for different components in different PECs. Therefore, it is difficult to apply the current approaches in practical applications. Moreover, an impractical issue of such an optimization model is that how do you know this component is within this range while another component should be within another range? By taking these into consideration, this paper goes further to model the PEC problem with uniform search range (USR) (Zhan & Zhang, 2011). That is, the components search ranges are no longer pre-defined elaborately by expert designers, but are set according to commonly used ranges in practical industrial applications. For example, all the resistors are within a uniform search range from 100Ω to 100kΩ and all the capacitors are within a uniform search range from 0.1μF to 100μF, spanning the wide ranges which are commonly used in practice (Electronics, 2000).